In a mixing bowl add barbecue sauce, honey, red chile flakes and powder, garlic powder, sea salt, black pepper and the peach preserves. Mix sauce until well blended and set aside. 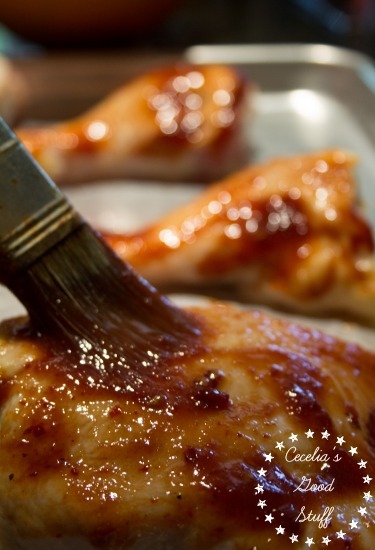 Grease large cookie sheet with canola oil, place chicken face down and coat with sauce. Re-coat back side with more barbecue sauce and flip chicken over, being careful not to tear the skin. Coat the tops with sauce and cook five more minutes. Rec-oat and repeat three more times until the chicken has a tick coat of sauce. 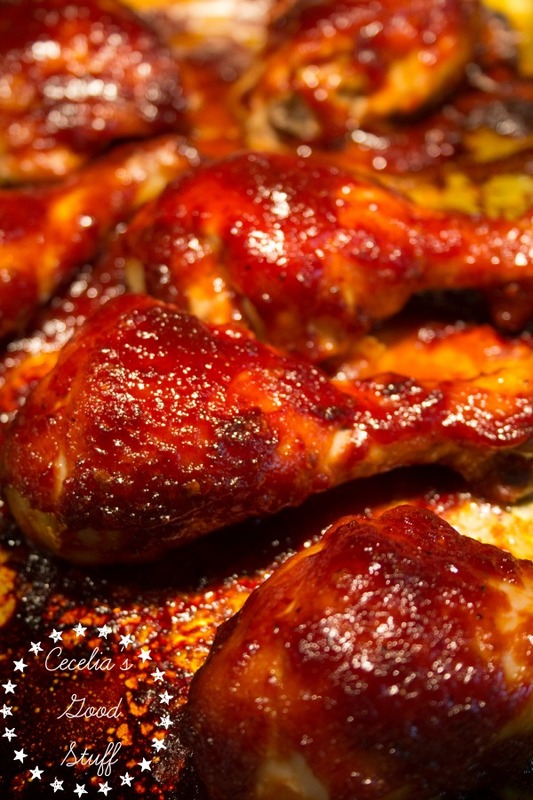 After applying the fourth coat of barbecue sauce turn oven up to 425 degrees and cook another 10 minutes, watching carefully not to burn the chicken but allowing it to get crispy. 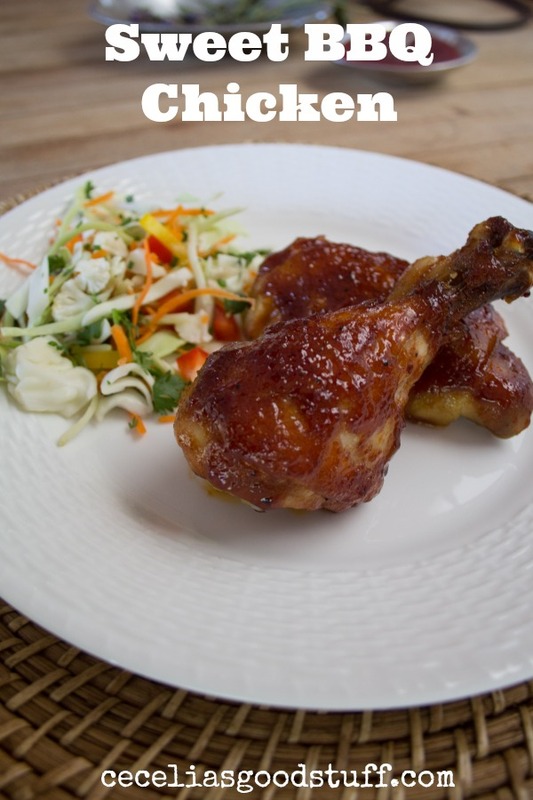 Sweet BBQ Chicken Recipe – take your barbecue up a notch and try adding honey and peach preserves. The combination really boasts the flavor and the red chile flakes and red chile powder give this recipe a nice a spicy kick. Two thumbs up from us! This was delicious!!! Hi Charlotte! Thank you I am so happy to hear you enjoyed it. The recipe was inspired by my family, it as an easy go to dinner when I don’t feel like messing with the grill. Thank you for your support and the sharing of the recipes. It means a great deal to me. Great to hear from you!